Here’s a list of places in Central Arkansas to pick up goods to take home. We all run into this from time to time -- too much to do, not enough time to take care of everything. What do you do in those situations? If you’re lucky enough to live in Central Arkansas, you’re going to be all right. 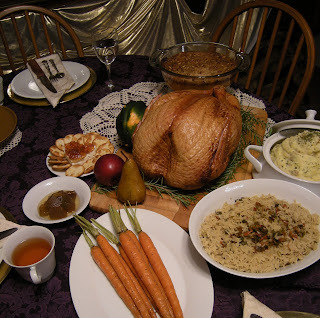 Here’s a list of where to find everything edible for your holiday table… right down to the pumpkin pie. Get it while it’s hot. 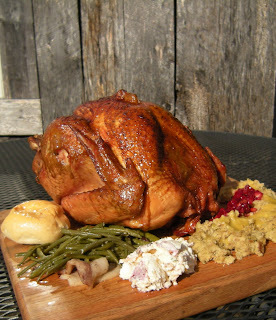 Cross Eyed Pig BBQ Company does a mean turkey, smoked for six hours and full of juicy good taste. You can call up Anthony Michael and set a date, and even pick up your bird when it’s still hot from the smoker. He does some pretty hams, too. Turkeys average 12 pounds, they’re $49. 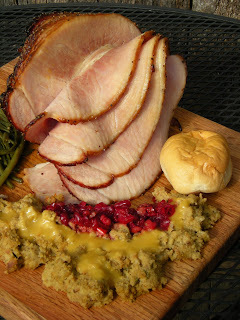 Half spiral-cut hams are $44. While you’re thinking about it, ask for some of Miss Mary’s potato salad. Not a tradition for the Christmas table… but it will be. Check out the Cross Eyed Pig website, call (501) 265-0000 or go by the restaurant at 1701 Rebsamen Park Road in Little Rock. Take it home cold. Burge’s in the Heights not only offers turkeys and hams, it also has chickens and ducks -- perfect for a smaller Christmas celebration. Better still, if you pick up your meat at the R Street location, you’ll save yourself a significant amount on what they charge for shipping. Grab a pint of Hot Pimento Cheese while you’re at it for post-Christmas snacking. Turkeys are $4.89 a pound on pickup. Chck out their website, visit the store at 5620 R Street in the Heights, or call (501) 921-4292. Looking for that particularly Arkansas flavor to add to your holiday fete? 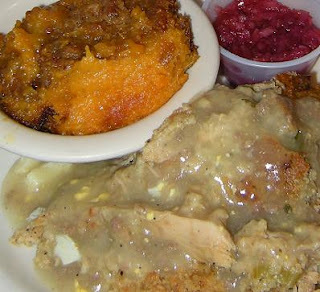 Whether it’s corn pudding, eggplant casserole or a mess of candied sweet potatoes, you can order it from Franke’s Cafeteria. The cafeteria’s been around longer than (chances are) any of your guests, and the food is spot-on. Order a few days in advance. Go by the restaurant at 11121 North Rodney Parham (in the Market Street Shopping Center) or give them a call at (501) 225-4487. Say you’re needing a good dressing to go with your dinner? How about one that contains enough chicken and gravy to seem impossibly homemade? Give Dan’s I-30 Diner in Benton a call. 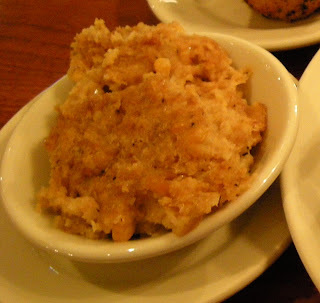 They do chicken dressing, sweet potato casserole, or cobbler for $15.50 a half pan or $27.50 for a whole one. Needs a couple days notice. (501) 778-4116... on the westbound service road in Benton just past the Best Western. Just want to drop in somewhere and see what's available? Copper Grill has the Copper Grocery right next door, downtown at Third and Cumberland. There's all manners of take-and-make dips, sauces, casseroles and desserts in the cases, along with the essentials of downtown living. Their sugar cookies are delish, and if you're looking for an original stocking stuffer, check out the Little Rock Rocks (decorated candies). They have a website or you can give them a call at (501) 375-3333. If you're really wanting to put on the dog and have some interesting things you won't find at a major retail chain that will go nameless, drop by Diane's Gourmet Luxuries in the Market Street Shopping Center. This is where you need to go if you're looking for some real "wow" appeal. 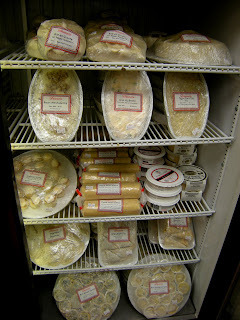 There's a great selection of gourmet products, both from Arkansas and around the world. You go for take-and-make meals that rival high-priced restaurants. You go for just-like-homemade desserts. My particular recommendations: Diane’s Watermelon Pickles (I swear that’s a stolen family recipe) and those Cheese Pecan Wafers you purchase in a frozen tube and slice and bake at home. Much more you have to see -- go look at the website or just drop by the store at 11121 North Rodney Parham. You can also call (501) 224-2639. Looking for a little dough... in the form of fresh baked bread? Have you tried Ed's Custom Bakery in Conway? You're in a good spot. Their butterflake rolls are a staple at our family gatherings. They do great on pecan rolls, too. Go, do it. Ed's is on Oak Street in Conway, next to O'Reilly's and across from Hancock's. (501) 327-2996. Want decadence to add to your holiday dessert table splendor? 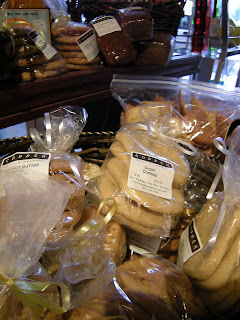 Drop by the River Market and find Brown Sugar Bakeshop. Order up cupcakes, brownies and cookies to take home and share or gift. Holiday flavors include Chocolate Peppermint Chunk Cookies, Cranberry-Orange Mini Muffin Loaves, Eggnog Cupcakes and Sweet Potato Blondies. Or go for anytime favorites like Limoncello, Amaretto or Blueberry. 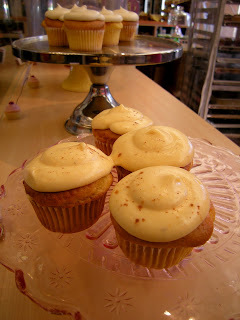 The store's website has a link to their blog with each day's flavors, or call (501) 372-4009. 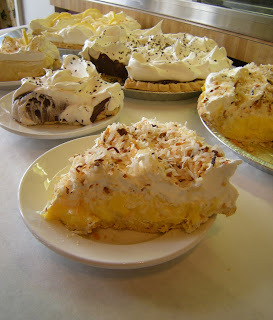 And of course, there's pie, which means I have to once again nod over at Chip's Barbecue. I can't get enough of the pie, seriously. Cream pies, baked pies and cheesecakes from family recipes; good enough to hide the box and claim you made them yourself. Order early for pre-holiday pickup. They'll be open Christmas Eve morning for pickup. $17.95 for pies, $37.95 for the massive cheesecakes. Check the website or call (501) 225-4346. On Markham next to Kitchen and Bath Concepts. Wow! It's delicous Christmas. And the cake is really pretty. Happy Holiday and Happy New Year! 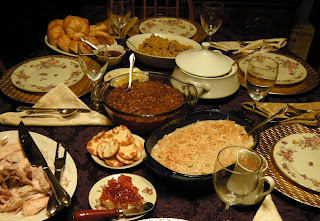 Come link up with the Arkansas Bloggers group. It's not a finished product yet, but it is a start. Maybe perfection will come later:) There are no rules or obligations...just a working list of people with Arkansas or Arkansas-related blogs. Happy New Year! You might want to add Dinner's Ready in Benton to your list. Have you eaten at Ed and Kay's, Eat My Catfish, Riverside Grocery? There's a little taqueria on South Street that is good also. Thanks for all of the suggestions. Hubby and I are always on the lookout for good eats:) The burgers at Salem Dairy Bar are really good.